(2017). 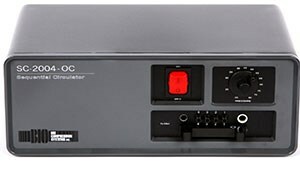 "Bio Compression Systems Sequential Circulators". In (Eds.) , WoundReference. 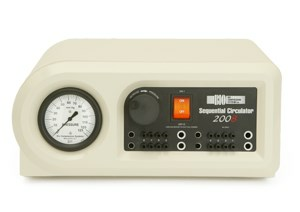 Available from: https://woundreference.com/app/topic?id=bio-compression-systems-sequential-circulator. Retrieved on 4/25/19. 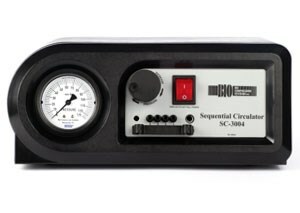 Sequential Circulator is a 4 chamber gradient, sequential, pneumatic compression device, intended for the primary or adjunctive treatment of primary or secondary Lymphedema. 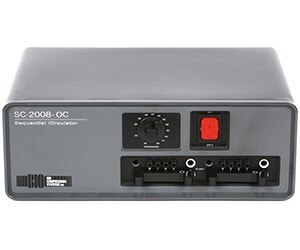 The device is also used for the treatment of chronic venous stasis ulcers and associated venous insufficiency, as well as general treatment of swelling of the extremities. 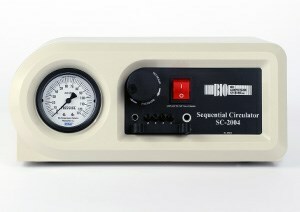 The SC-2004-OC is intended for home or hospital use.